Here you will find state-of-the-art medical facilities and a team of seasoned professionals dedicated to a higher standard of dental services. From digital x-ray machines to Zoom2 Teeth Whitening systems, our office is fully equipped to offer comprehensive dental care and cosmetic dentistry in San Marcos. Our Cosmetic Dentist, Dr. Davoudi, DDS brings to bear years of experience and an exceptional educational background in dentistry, including four years of advanced orthodontic training. She is a certified Lumineers provider and a certified Invisalign dentist in San Marcos. She has personally prescribed and completed over 1500 Invisalign cases, and has worked extensively with a wide range of other orthodontic appliances. Indeed, Dr. Davoudi is considered a pioneer in the diagnosis and treatment of bite and malocclusal problems (e.g. crossbite) in both children and adults. Dr. Davoudi is one of the San Marcos' leading invisalign specialists. Dr. Davoudi has helped create better smiles for more than 1,500 patients. Dental implants are basically tooth root replacements. 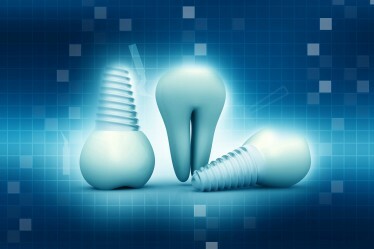 There are three parts to an implant; the implant mechanism itself, the abutment and the crown. The implant mechanism is implanted straight into the bone. 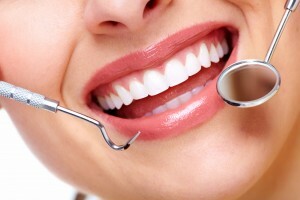 The advancement in technology has produced dental materials that are tooth-colored and natural-looking. These developments have resulted in more durable cosmetic dentistry treatments. Lanap is a laser-based procedure that is often recommended for persons who have periodontal disease, red, swollen or tender gums, loose feeling teeth, chronic halitosis, or bleeding when flossing.